Avast, ye readers! Here be Pyrates! Feast yer eyes on the cursed treasures before you! Hoist the skull ‘n’ crossbones! Walk the plank with Hell's sorest losers! Join the damnedest buccaneers and privateers ever to sail infernal seas: Attila the Hun, Anton Lavey, Daemon Grimm, Christopher Marlowe, William Shakespeare, Frank Nitti, Admiral Nelson, Captain Henry Morgan, and a cast of thousands! Twelve tales of piracy in the Heroes in Hell universe, created by Janet Morris and spun by Janet Morris, Chris Morris, Nancy Asire, Paul Freeman, Larry Atchley Jr, Rob Hinkle, Michael H. Hanson, Andrew P. Weston, S.E. Lindberg, Jack William Finley, and me . . . Joe Bonadonna. What's happening in Hell, you ask? Well . . . the seas, oceans, and rivers of Hell are threatening to combine. Hell’s geography is moving; old landmasses crumble while new ones rise to take their place. Some places are flooded, some are bone dry. Pirates take advantage of the chaos, offering safe harbor at exorbitant costs, but the magnetic Flux under Ocean and the Deep yawning to swallow all makes hellions wonder if Hell could be completely flooded — and whether Erra, the Babylonian god of Plague and Pestilence, and his Seven Sibitti warriors are at fault. But Erra is no Moses. There’s no ark big enough for the Damned, nor would he help them if he could, and no way to tell which course is safest. The depths of Hell chill the boldest sinner as damned souls learn why the deeper in Hell you go, the colder it gets. My novella, “The Pirates of Penance,” stars Victor Frankenstein and his assistant, Quasimodo. Along for the ride are Errol Flynn, Douglas Fairbanks, Sr, Jean Harlow, Douglas Fairbanks Jr, Johnny Appleseed, and a host of the famous and infamous from all eras of Earth’s history. This time out, Frankenstein and Company set sail to film a movie titled “Captain Blood: Vampire in Hell,” the sequel to one of Flynn's most famous movies. But that's just a front for what they're really doing: sailing for the Isle of the Damned, which they believe will lead them up and out of Hell. Problem is, something is haunting their ship, preying on the cast and crew . . . something which may be a real vampire. What? One of the blood-sucking Undead among the Dead and Damned in Hell? Preposterous! Impossible! Or is it? 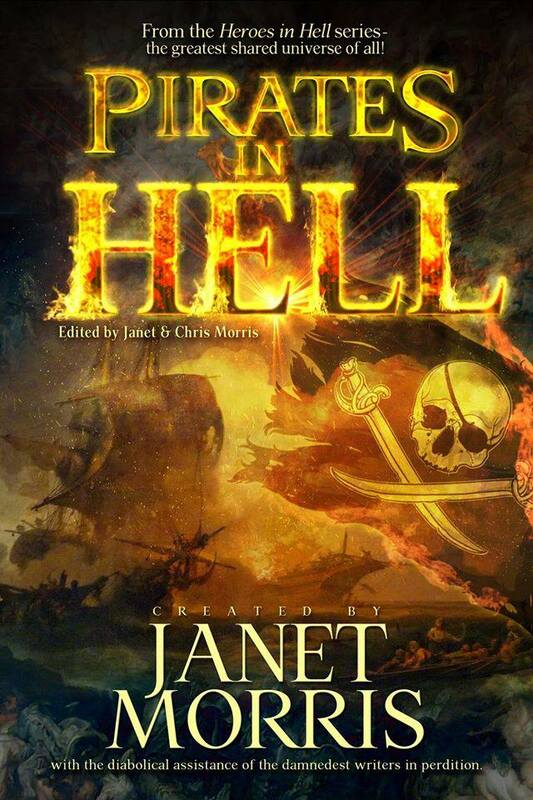 Find out what happens in Pirates in Hell — volume 19 in the eternal-infernal shared universe of Heroes in Hell, created and edited it by author Janet Morris, and published by Perseid Press. 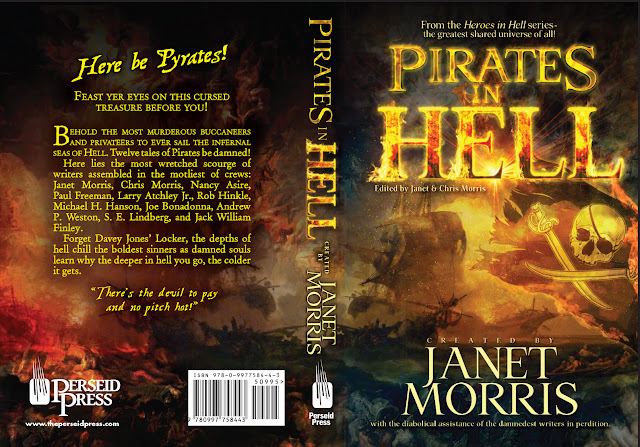 Pirates in Hell . . . don’t set sail without it! A Small Gang of Authors New Contest! 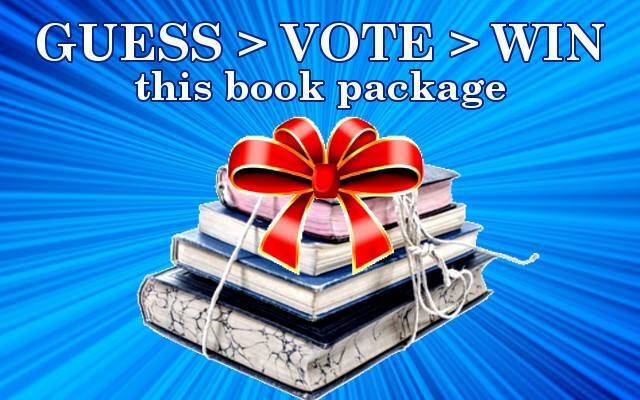 Guess, Vote, and Win!!! Guess if our blog will or will not reach 100,000 views by December 31st. If your guess is correct, you could be in the running to win an eBook package or signed physical editions in this exclusive giveaway by our authors.